July 25-31: Cape Lookout Anchorage in the Bight. 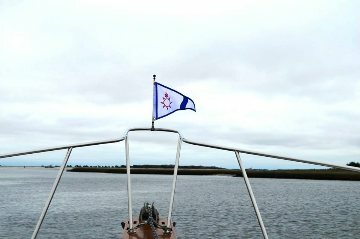 Depart Spooners Creek Marina Friday July 27 out the Beaufort Ship Channel and then left to Cape Lookout Bight. Anchor in the Bight July 27 and July 28. Aug. 26 - Sept.1: River Dunes Marina, Oriental, NC, then to Silver Lake, off Ocracoke Is. Contact Rich Perlini for details.